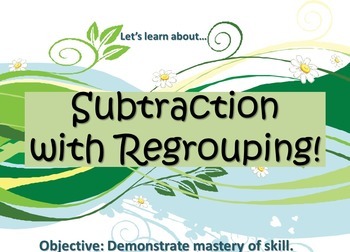 Have fun and incorporate technology into your lessons by downloading this PowerPoint lesson on Subtraction With Regrouping. 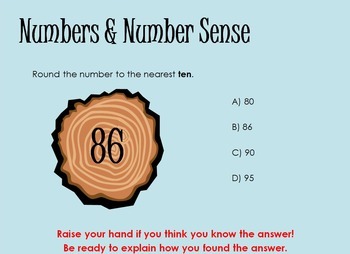 *The PowerPoint begins with a skills review that covers the following concepts: problem solving, geometry, measurement, time, numbers and number sense. *Base 10 block kits can be used with this PowerPoint in order for students to more fully grasp the concept of subtraction with regrouping. 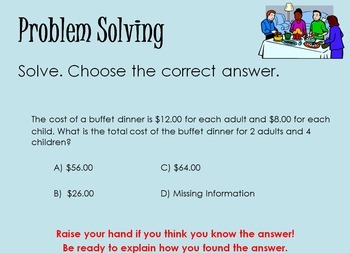 "I love ALL of the different aspects and problems that this power point covers. I'm looking forward to using all of the different aspects of this lesson. 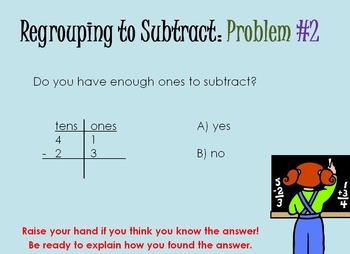 I've only used the slides on subtraction with regrouping." --Janet M.
"Perfect review for my 3rd graders." --Jillian B.